Best Android Apps to Create Artworks,Drawing and Painting presents may Android Apps to take the brush on their tablet to help achieving professional results.No need to worry about color spurting, no need to worry about a line wrongly drawn – Best Android Apps to Create Artworks,Drawing and Painting presents some great apps. 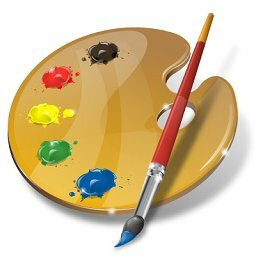 You can type or copy any name of the Apps listed in this list?of Best Android Apps to Create Artworks,Drawing and Painting and search it in Android Market Place using the Search function. SketchBook Pro : Developed by Autodesk Inc. One of the biggest name in the arena. For everyone who loves to draw – Autodesk SketchBook. Autodesk? SketchBook? Pro for Android is a professional-grade paint and drawing application, optimized specifically for Honeycomb tablet devices. SketchBook Mobile : Autodesk SketchBook? Mobile is a professional-grade paint and drawing application offering a full set of sketching tools and a streamlined and intuitive user interface. AutoCAD WS : Experience the freedom of taking your designs with you ? wherever you go. AutoCAD? WS is a mobile CAD application that gives you the freedom and flexibility to view, edit, and share your DWG? files on your Android phone or tablet. Pic Paint : Pic Paint is Android?s highest res photo editing app w/ clipart, effects, fonts! Pic Paint is Android?s highest res photo editing app. Adobe? Photoshop? Touch : Transform images with core Photoshop features in an app designed for tablets. Combine images, apply professional effects, share results with friends and family through sites like Facebook, and more ? all from the convenience of your tablet. Sketch n Draw : Get in touch with your creative side! A fun procedural drawing tool / sketcher. Scribbler – Free drawing app : ouch drawing app with loads of features and customizations. Great for kids! Adobe? Ideas : Adobe Ideas is the digital sketchpad app to create vector drawings anywhere. Great ideas show up anywhere. This Article Has Been Shared 8870 Times! Cite this article as: Abhishek Ghosh, "Best Android Apps to Create Artworks,Drawing and Painting," in The Customize Windows, December 12, 2011, April 18, 2019, https://thecustomizewindows.com/2011/12/best-android-apps-to-create-artworksdrawing-and-painting-1/.